Tyre Size Size of the tyres could make the key difference in the way vehicle drives and give the best comfort. 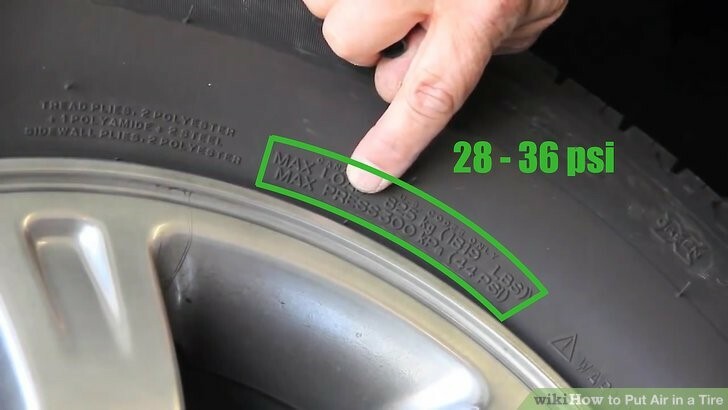 Check the sidewall of the tyres or the vehicle handbook for a series of letters and numbers and that indicates the tyre size. Tyre width: Measurement of width of the tyre (in millimeters). Aspect ratio: This is the ratio of tyre width to height (as a %). Rim diameter: Diameter measurement of the rim which the tyre is fitted (in inches). Load index: Maximum load that the tyre can bear. 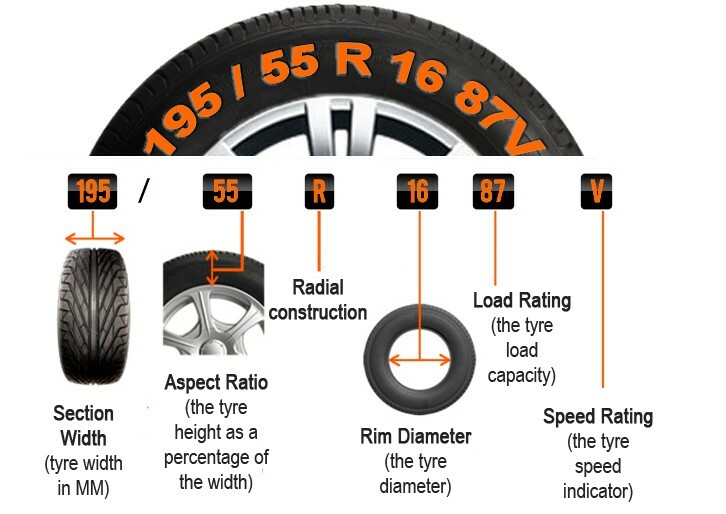 Speed index: Maximum speed at which the tyre can carry its maximum load. There are owners who want to use bigger tyres for their vehicles. Cars with bigger tyres look sportier! Instead, low profile tyres are often used for high performance vehicles. Low profile refers to the aspect ratio with short sidewall vs width. They can deliver better handling, and some people think they look cool. It is your choice to have the tyre size as you like, but you need to be careful. Changing your tyre size or profile can have effects on your comfort, vehicle speed and fuel consumption. Maxxis as manufacturers of tyres are poised within top ten of the Global tyre manufacturers ranking list. It offers high quality tyre products for passenger cars and light trucks, trucks bus radial and truck bus bias. Advice from a recognized manufacturer would be handy for the best tyre selection. Tyre Tread profile Tyre tread is the rubber that makes contact with the road or the ground. How do you choose the right tread profile for your vehicle? The answer depends on the type/ condition of roads that you are driving on. Certain types of tyre treads have the best grip levels on dry runways, but could not help on wet roads. 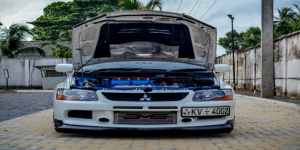 While others would be the best off the road, but could cause increased road noise. The type of rubber mix used in the manufacturing of tyres range through different compounds – super soft, soft, hard and extra hard – and each type offer a different performance and wear characteristic. Softer compound tyres offer increased grip levels but at the cost of longevity. They are also more susceptible to punctures and sidewall tears. Medium and hard compound tyres are more durable, lasting longer in rough roads, but their grip levels are much lower in comparison. It is best to choose the tyres with tread profiles that best suits your vehicle usage pattern – weather condition of your living city and vehicle mileage in average. 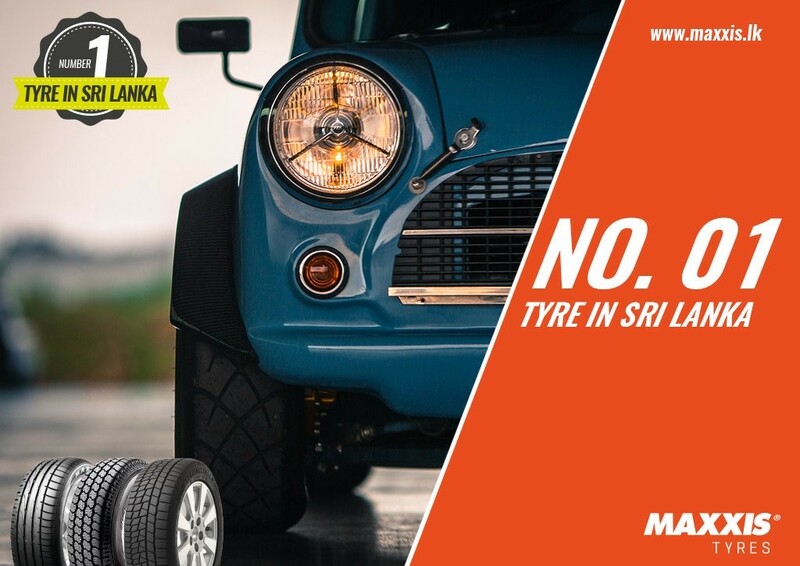 Maxxis is the best place for tyres sold in Sri Lanka that have been specifically designed to tolerate tropical road conditions. Greasemonkey.lk together with Maxxis tyres in Sri Lanka offer 30% discount on commercial vehicle tyres and 20% discount on motorcycle tyres. Tyre Pressure Correct tyre pressure is vital for balanced braking, maximum grip and maximum tyre life. Recommended pressures vary according to vehicle’s maximum load and speed capacity. Most road tyres are marked with a pressure range on the side of the tyres. The minimum tyre pressure is required to safely support the driver’s weight and the tyres should not exceed the maximum stated air pressure. The choice of the level of tyre pressure depends on several factors such as the weight and other driving conditions. Lighter drivers would require tyres with less air pressure and vehicles in wet road conditions would require reduced air pressure to provide added grip. 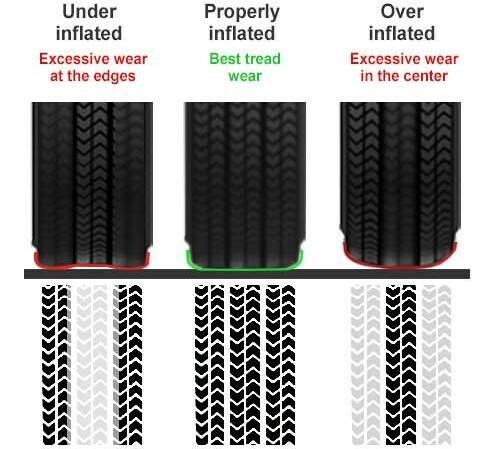 It is important to note that underinflated tyres (tyres with low air pressure) wear out faster, create excessive heat, increase fuel consumption, and make your vehicle harder to handle. Overinflated tyres (tyres with more air pressure) are more easily damaged by road debris, wear out faster, and may make the vehicle unstable and unsafe to handle. Air in your Tyre We commonly hear about tube tyres and tubeless tyres. Tube tyres consist of a tube of air placed inside the tyre. The air acts as a cushion and makes driving over bumpy roads smoother, maintains the shape of the tyre and supports the weight of the vehicle while keeping it stable. 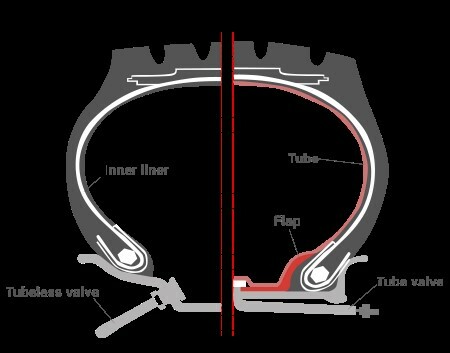 In tubeless tyres, the inner tube is integral within the tyre, known as innerliner and the valve is permanently fixed to the rim. Tubeless tyres weigh less, reduce un-sprung weight of the vehicles, give superior handling characteristics thereby raising confidence in the driver and loss of air is very slow in case of a puncture. 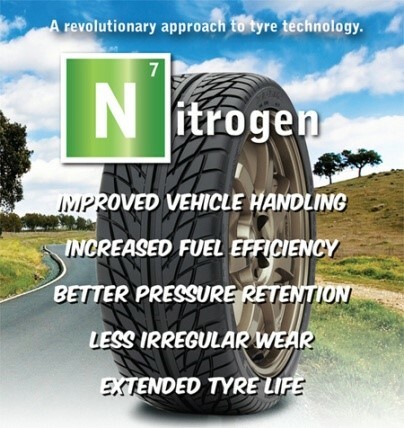 Alternatively, Nitrogen is used in tyres newly instead of compressed air. These tyres have proved advantages of fuel economy, possibility of maintaining tyre pressure over time, long-term tyre usage, reduced wheel corrosion, and good performance on race car, and heavy equipment tyres. However, these are comparatively costlier than the normal ones. Check out the range of Nitrogen filled environment friendly tyres for your own vehicle from Maxxis. Tyre Brand The brand of your selection matters a lot when choosing the tyres for your vehicle. 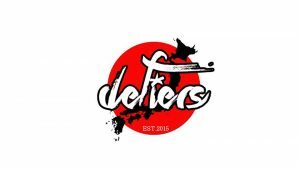 There are several domestic brands and global brands in the market. It is important that you get adequate customer support and advice in your process of choosing the best tyres for your favorite vehicle. Warranty conditions and after-sales services are equally important for consideration. 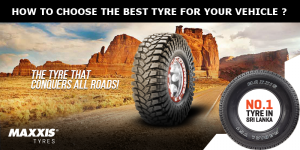 Approaching a trustworthy global player who is well accredited for high quality tyre manufacturing such as Maxxis gives you the fullest satisfaction and comfort in choosing the best tyres for your vehicle. We at Greasemonkey.lk offers our clients the best deals in town and it’s just a click away. Request a voucher from our official website and enjoy a range of benefits for an unmatched price go to https://greasemonkey.lk/product-category/tyre-deals-alloy-wheels/maxxis/ for more info. Self-driving cars and how it will change the future of transport e="font-size: small;">Self-driving cars which are more commonly known as driver less cars were thought to be only a myth and a subject of science fiction till recent. However, since the launching of self-driving luxury cars into the market from 2015, it is only a question of how soon they will replace manually driven cars and take over. You may wonder why one would want to run robotic cars on the road. The plain answer to this is because self-driving cars are not bound by limitations made by humans. It is a known fact that majority of humans are not very good drivers. With the amount of road accidents increasing each year due to careless and reckless driving by humans killing innocent pedestrians and others, the time has come to find a solution to decrease and eradicate this dangerous trend. What better way to solve this problem caused by irresponsible human drivers other than introducing robotic driven cars that don’t make any errors while driving on the road? Self-driving cars are absolutely safe as they don’t get distracted or sleepy, won’t have blind spots and doesn’t have anything on their minds other than getting from point A to point B. It is also possible for self-driving cars to talk to each other. The result of Google’s testing of their driver less cars for more than hundreds and thousands of miles ended with only two minor accidents which were also not the fault of the driver less cars. Besides safe accident-free driving, driver less vehicles provide limitless benefits to human transportation. Small autonomous vehicles are able to perform countless tasks in factories and warehouses while bigger ones are even able to work in open pit mines as well as construction sites. The driver less cars manufactured by Google performs error free autonomy due to a Velodyne 64 beam laser that is mounted on the roof which generates detailed 3D maps of its surroundings. The 3D road measurements plus pre-existing maps of the world help to generate a wide range of data models to help the car to drive by itself avoiding all road obstacles and obeying traffic laws. The self-driving car also consists of radars that are mounted on front and rear bumpers allowing the car to see very far to deal with quick moving traffic on freeways. It also carries a camera that is placed near rear view mirror to detect traffic lights and a GPS, wheel encoder, inertial measurement unit to decide vehicle’s exact location and keep track of its movements. The self-driving cars can take passengers from pick up point to required destination effortlessly making turns and changing lanes swiftly and smoothly with a 100 per cent precision better than a top rated driving instructor. Already the option to drive manually has been removed in self-driving cars this year by Google in their cars making it entirely autonomous with no steering wheel and gas pedals. Already many states in USA have passed laws permitting running of self-driving cars carrying passengers on public roads. Self-driving cars are ready to hit public roads within three to five years for certain. They have total capability to be totally safe and almost 100 per cent effective than human drivers. Therefore, it comes as no surprise that in a decade or two with the full flow of driver less cars on roads around the globe, the question that would come up for discussion would be whether we should still permit people to drive manually. 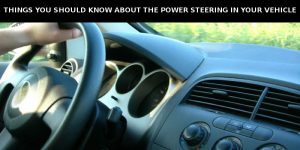 Things you should know about the Power Steering in your vehicle ing for your driving has become an essential requirement now. It is no longer considered an option that you would want to forego when buying a vehicle because the facilities it provides you are far greater in the long run when driving than the additional cost you may have to incur in buying a vehicle with power steering option. Most people are not aware how to maintain the power steering system in their vehicles effectively for maximum benefit. It is equally important to understand how to use the power steering option in your vehicle and put it to use to experience best outcome. Make sure you turn your steering wheel under normal speed while driving. By turning the steering wheel on high speed within close range and taking sharp bends while driving at top speed will reduce your power steering life span drastically. You may wonder why you cannot take sharp close range bends while driving fast. Well, it is not that you cannot do that but car manufacturers have not produced these cars for speed racing. So your vehicle’s power steering has its own limitations. Keep in mind how many times your steering wheel would turn. There are some drivers who turn it until the steering wheel hits the end with a noise. The more you turn your steering wheel to its end would cause your steering sump to release more and more pressure. When you abruptly stop turning with that kind of high pressure, the parts of your power steering system will be impacted with too much pressure on them. This would eventually cause these parts to get wasted quickly. Do not get used to keeping the steering wheel on full turns for a long time. When parking the vehicle get used to straightening the steering wheel. Most drivers forget to do this simple thing that can prevent your power steering parts getting wasted as a result. Since the pressure of turning your steering wheel to its end is quite high just imagine what type of adverse impact it would have on your steering wheel parts by keeping the vehicle parked on a full turn for many hours. Make sure that you don’t often turn your steering wheel while applying brakes. The reason is due to the pressure applied on tires while braking is quite high and because the same pressure is passed on to the steering rack as well. Try to avoid turning the steering wheel of your vehicle when it is not moving. The reason for this is because the steering load is far less while the vehicle is on the move. 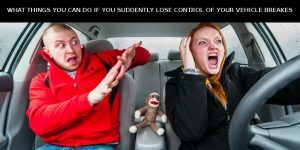 What things you can do if you suddenly lose control of your vehicle breaks e seen on movies how speeding cars lose control of brakes have you ever imagined how would you react if it happens to you? Most of us drive at maximum speed with total faith in our brake system. We take sharp bends travelling at high speed and use brakes just within close range of something ahead of us because we trust our brake system. What if the brakes of your vehicle suddenly stop functioning? What can you possibly do to avoid a possible collision or accident? You can also slow down your vehicle by switching to a low gear. But never make the mistake of shifting from top gear to the first. This is because you can end up losing control of your vehicle. Downshift your gears one by one in order to avoid losing control. By using your handbrake the rear wheels get locked. This would not stop your vehicle at once it would certainly help to slow it down successfully within a short distance. Since pulling the handbrake at once can cause your vehicle to lose control at high speed or the handbrake cable to break, pull it a little and release it and pull it a little again so that gradually the vehicle comes to a halt. By turning the steering wheel side to side it applies a friction upon the tires. This leads to reducing the speed of vehicle. If the traffic is low on a wider road you can turn your vehicle more from side to side to cause greater friction on tires. If your brakes are giving trouble then immediately switch on the hazard lights. You can also use your headlights by blinking them constantly. Alternatively use your horn to let the pedestrians and other vehicles on the road get to know that your vehicle is losing control. Turn to roads with less traffic as much possible to avoid collisions or accidents. How to drive a Tiptronic geared vehicle riving auto gears? Sick of driving manual gears? What will you say if both these options come in one? This is where tiptronic gears come into play where you are able to use manual and auto gears in the same vehicle you drive. 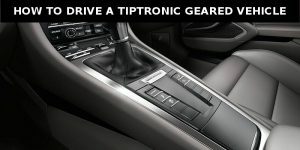 Tiptronic gear system was first introduced to the world by Porsche. Tiptronic system gives you the pleasure of changing from auto gear system to manual while driving your vehicle with ease. Basically while driving on auto gears you can use the same gear lever or another lever to switch to tiptronic mode and drive shifting manual gears. This doesn’t mean that you have to keep changing gears like in a normal manual geared vehicle. Rather it is more comfortable and easy to change as you are using the same auto gear lever to shift to manual gears. This is done by shifting the gear lever upshift or downshift to different gears manually. If the gears come on the steering wheel then you can press the upshift or downshift button to change gears together with paddle shifters. How to manoeuvre the upshift and downshift buttons? The (+) sign represents upshift and (-) sign symbolises downshift. When you push the gear lever once to (+) or (-) signs, the gear will change and the lever will return back to the centre. Then you are able to shift to next gear the same way. According to this method you can upshift or downshift the gears and drive your vehicle. If the gears are on the steering wheel then you need to press the (+) or (-) sign buttons to uplift or downshift gears while driving. Since the tiptronic system vehicles come with an auto clutch you are saved the trouble of using a foot clutch. The tiptronic gear system is manufactured in different methods by different vehicle companies. This is to create convenience in using them when driving. One of the best systems is used by Audi where in case if you don’t upshift or downshift manually when approaching the speed limit zone of gears, it will automatically shift to next gear depending on the speed pick up or speed drop. This method prevents the vehicle engine exceeding the speed limit required for each gear plus prevention of sudden engine stall and avoidance of causing too much pressure to the engine. Sports mode tiptronic system is another fantastic method that gives you a fulfilling sporty ride in your vehicle. What you need to keep in mind when driving a tiptronic is that you need to be conscious and skilled in monitoring the engine speed and when to give the clutch and shift gears. Tiptronic is a registered trademark belonging to a company that comes from the original technology used which is called Manumatic.